« As Ethiopian-Israeli Protests Continue, Where Do Women Fit In? 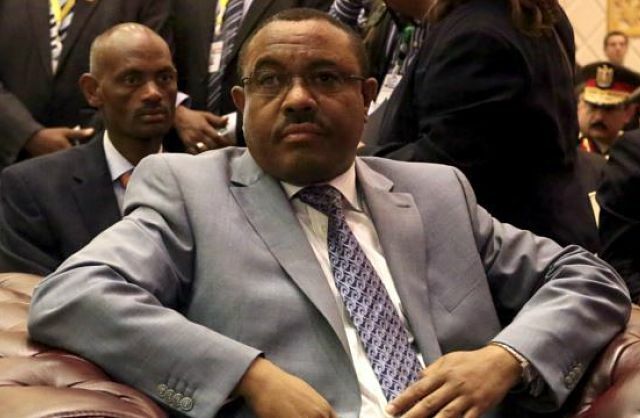 ADDIS ABABA — Ethiopia’s Prime Minister Hailemariam Desalegn, who assumed power in 2012 after the death of Prime Minister Meles Zenawi, has never had to participate in an election before. He took over the office and the leadership of the ruling party, the EPRDF, after the death of Zenawi, who ruled the East African nation for 21 years. Special Adviser to the Prime Minister Getachew Redda had already worked closely with Hailemariam when he was Minister of Foreign Affairs. He described Ethiopia’s leader as dedicated and committed. Ethiopia will be voting Sunday, May 24. It is widely expected that the ruling party — the Ethiopian People’s Revolutionary Democracy Front — will win for the fifth consecutive time and that Hailemariam will continue in his current position. Parliament member Girma Seifu of opposition party UDJ, Unity for Democracy and Justice, experienced both Meles and the current prime minister. He said he was optimistic when Hailemariam assumed office. Meles came to power in 1991 after being part of the guerilla movement that overthrew the former Derg regime, a military junta led by Mengistu Hailemariam. Desalegn was not part of the struggle. He trained as an engineer and worked as a university dean and administrator of the Southern Regions in Ethiopia before becoming a special adviser to Meles and then foreign minister in 2010. He also comes from a small Southern ethnic group, the Wolayta. He is openly Protestant in a party with a communist background and in a country where most citizens are Orthodox or Muslim. During pre-election weeks in Ethiopia, there are no large posters with the prime minister’s face around the capital city, Addis Ababa. Political analyst Hallelujah Lulie of the Institute for Security Studies says that while Meles essentially led the government on his own, a collective leadership was put in place after Hailemariam was inaugurated in 2012. Therefore he believes it is too early to clearly define what kind of leader the current prime minister is. Ethiopia’s government policy is focused on an agricultural-led economic transformation aimed at lifting the country to middle-income status by 2025. Special adviser Getachew said no major changes should be expected if the EPRDF rules for another five years. He said the current policies are working. Ethiopia is the second most populated country in Africa after Nigeria. It is the seat of the African Union and is often applauded for its economic performance and military intervention against the militant group al-Shabab in neighboring Somalia. At the same time, almost 30 percent of its citizens live below the poverty line, according to the United Nations Development Program. And international organizations frequently criticize the government for repressing critical voices.